Androlic (Anadrol) is the common brand name for the anabolic steroid ingredient Oxymetholone. Recommended dosage: 50-150mg / day. 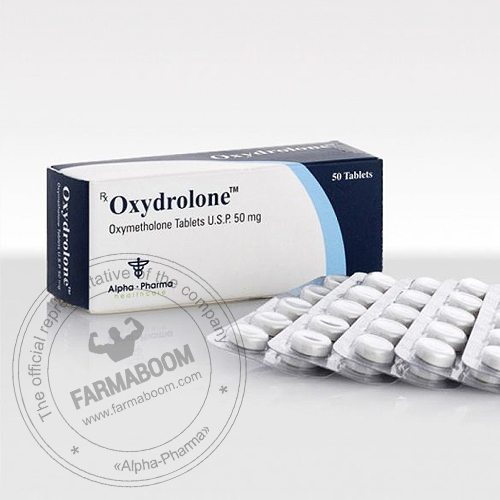 Oxydrolone is one of the most powerful anabolic and androgenic steroids available. With a quick impact, It produces enormous gains in strength and muscle mass and it is not uncommon to experience an incredible increase of up to 1 lb. of weight gain per day during the first 3 weeks of a cycle. The number of red blood cells is increased with Buy Oxydrolone Anadrol steroids and a tremendous pump can be expected. Since a significant amount of mass gain often is lost upon cessation of use, it can be wisely recommended to employ Oxydrolone as a kick starter during the first 5-6 week of a cycle containing a combination of products. After the initial 5-6 weeks, and when the other steroids are at peak in their effects, the newly obtained Oxydrolone-induced mass gain will be sustained and better solidified at the end of the cycle. It is very beneficially stacked with injectable hormones to reach a synergistic effect. Also important to note that during a cutting and pre-contest period, Oxydrolone s strong anti-catabolic characteristic will allow athletes to go on very low-calorie diets and still retain muscle mass while losing fat. 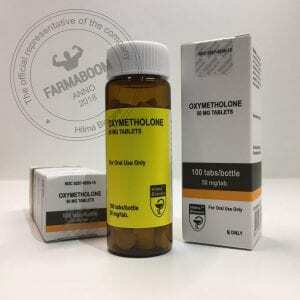 Oxydrolone (Oxymetholone) is considered by many to be the most powerful steroid available, with the results of this compound being extremely dramatic. A novice steroid experimenting with oxymetholone is likely to gain 20 to 30 pounds of massive bulk, and it can often be accomplished in less than 6 weeks, with only 50-100mg per day. This steroid produces a lot of trouble with water retention, while there is little doubt that much of this gain is simply inflating. But for the user, it’s often unimportant, feeling bigger and stronger on Oxymetholone than any steroid that might go through. Although the good air that results from water retention is often not appealing, it can help a little in size and strength gained. The muscle is more complete, contracts better and is provided with only one level of protection in the form of “lubrication” for the joints as some of this extra water takes place in and around the connective tissues. This will give more elasticity and will hopefully reduce the risk of injury during heavy lifting. It should be noted, however, that on the other hand the rapid mass gain may put too much stress on your connective tissues to compensate. The tear of the pectoral and biceps tissue is usually associated with lifting heavy objects while massaging up androgenic Lourdes. There is such a thing that wins too fast. Ill pronounced estrogen also puts the user at risk for developing gynecomastia. People sensitive to the effects of estrogen, or looking to maintain a more quality appearance, will therefore often add Nolvadex to each cycle. After Dianabol, Androlic is the second best known oral steroid. 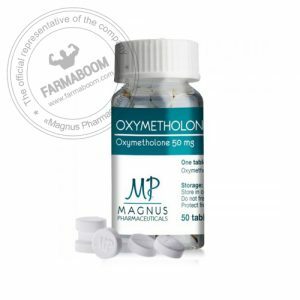 Oxymetholone produces an extremely dramatic gain in mass and strength and an increase in strength. A short cycle of Oxydrolone (Oxymetholone) gives most users a gain of at least 10 kg in one month, which is considerable. Androlic provides water retention like Dianabol. This acquisition is in fact largely by sodic retention. But the main disadvantage of all anabolic agents that produce muscle gain by water retention is that much of the mass built will be lost thereafter. On the one hand spontaneously after stopping the cycle, on the other hand during a drying period. Those who want to get the most mass gain possible choose Oxymetholone. They thus build an exceptional muscular base but with a smooth and slightly rounded aspect, which will eventually be dried out.